After many months of being busy with work, and more recently demonstrating the Raspberry Pi Wobbulator at radio rallies in Ireland and England, I have finally had the chance to return to doing what I enjoy most - experimenting with the Raspberry Pi. 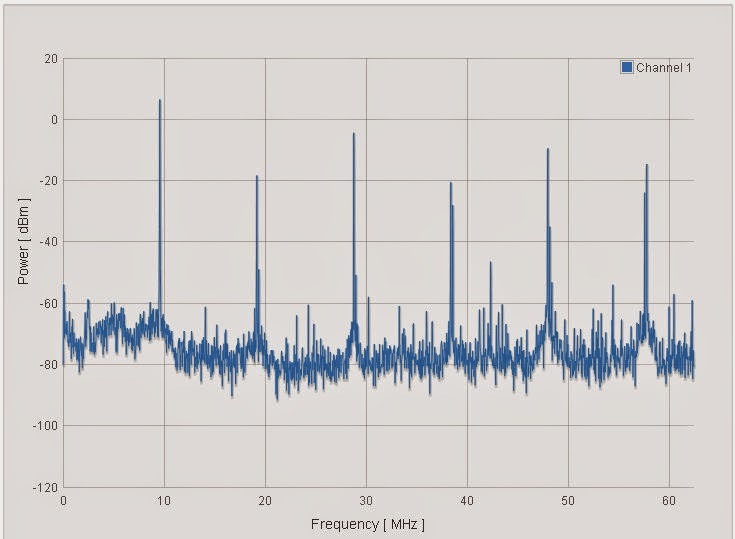 It has been known for some time that (with some clever coding) the Raspberry Pi can generate an FM signal in the VHF broadcast band and transmit music (from a .wav file) or the signal from a microphone over considerable distances (10's or metres) using no more than a short length of wire connected to the "clock" pin (GPIO 4). Click here for full details. More recently, I came across a modified version of the RPi.GPIO library which makes it very easy to generate radio frequencies using the Raspberry Pi's clock pin. Click here for details, where you will also find many other useful tutorials. First of all, make sure your distro is up to date. For instructions on how to do this please click here. These few lines of code will cause the Raspberry Pi to generate a frequency of 9.5 MHz on pin GPIO 4 for ten seconds and then turn off. In order to run the code, you will need to save the file first - I called mine "RPi_RF_Gen.py". The primary signal is at 9.5 MHz, but there are numerous harmonics right across the RF spectrum (which is typical of a square waveform). For some reason, the highest RF frequency I could generate with the Raspberry Pi was 9.5 MHz, even though the documentation relating to the modified RPi.GPIO library I installed stated that it was possible to generate frequencies up to 19 MHz. 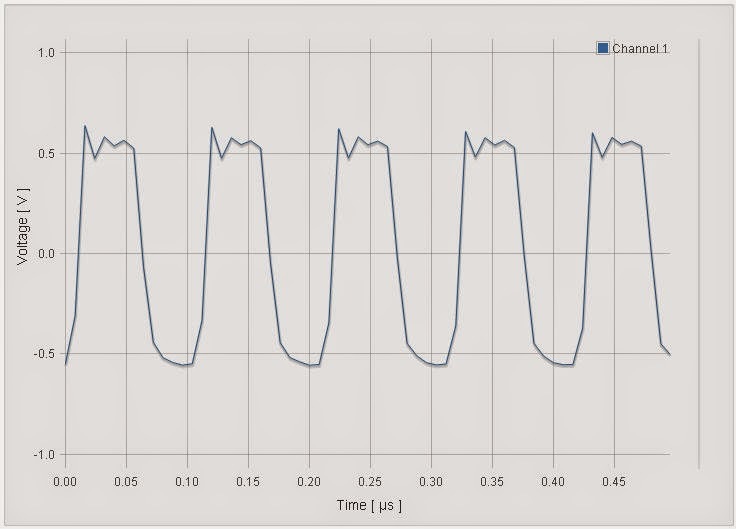 Therefore, using the modified RPi.GPIO library, it is possible to very easily generate RF frequencies using the Raspberry Pi clock pin GPIO 4, however the wave forms generated are square waves and as such contain multiple strong harmonics, and there appears to be an upper limit in frequency of 9.5 MHz when using this method. Sorry men please help me, I can't start gpio 4, I write the lines but the python showed "the channel is not set up a general purpose clock 0"
Hi. I am writing an article on IOT and would like to use your image (the spectrum analyser for harmonics). It is ok with you?